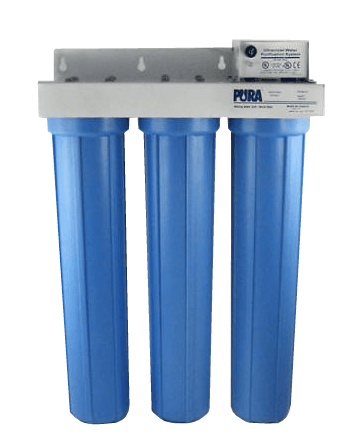 There is a lot of confusion in the selection of Whole House Water Filtration Systems for those in rural locations and thus having a water supply from a well, lake, pond or stream which is untreated and non-chlorinated. We get inquiries every week from people having issues with non-treated water. First step in sorting out what system you may need for your application is to take a sample of your untreated water to a local lab to have it tested for minerals and other possible contaminants. Keep in mind if you want a test for bacteria you need to have the sample to the lab within 2 hours in order to be effective. Most times you will need to do a simple mineral test, it is the minerals in the water that can cause problems with your water usage. We advise our customers to not bother with a bacteria test as this issue can change throughout the seasons, may test ok today and next week or month you may have some bacteria get in your water. Spring is a time with the runoff from melting snow and spring rains when bacteria from decaying material can get washed into your well, lake, pond and rivers. A good example of this was experienced in 2010 in the city of Vernon BC when manure from a local farm got washed into the city well which supplies the city and regional districts and effected thousands of residences resulting in a month long ban on drinking water followed by a boil water advisory. 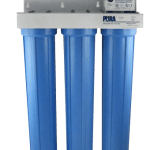 In our opinion we always advise on all non-treated water supplies to install a UV ( Ultra-Violet system), this guarantees that all bacteria, viruses, and any and all living organisms will be eliminated and eliminates the worry of seasonal issues. 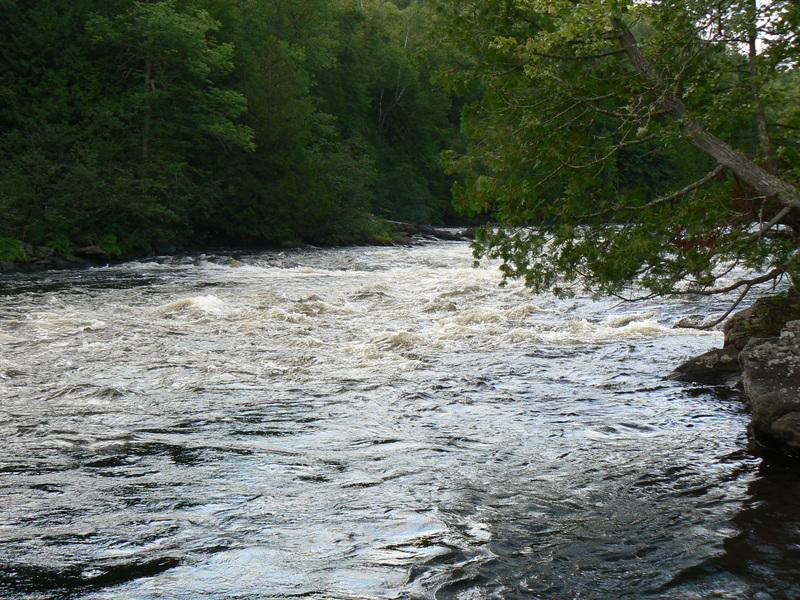 It is important to note that in order for the UF to work effectively the water must be clear, so pre-filtering is best. 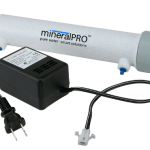 The Mineral Pro UV system comes complete as a three stage whole house filtering system, first stage is a 5 micron sediment filer to remove all the silt and sediment from your water, second stage is a 10 micron Carbon Block Filter which is also critical to ensure clean water, this carbon filter removes the organic materials and also improves taste and odor from the water, third stage is the UV light which effectively kills all bacteria, viruses and any living organisms. This unit comes all pre-plumbed and includes a mounting bracket, so simply mount on a wall and connect your main water line to this unit. Is a great unit for cabins, cottages and any rural application. 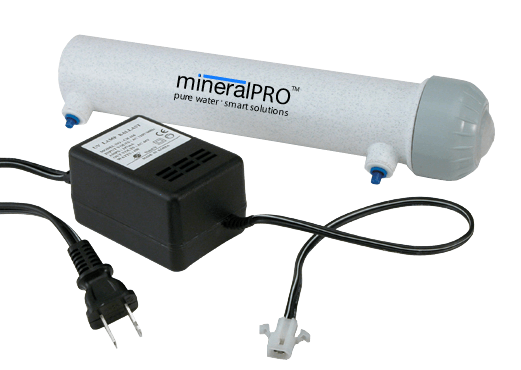 Mineral Pro has sold these systems all over the world! Minerals in wells can cause issues, hard water caused by calcium and magnesium can cause water marks on shower doors, spots on dishes in the dishwasher, cause cloths to be less clean from your washer, hard on all your plumbing pipes, fixtures and hot water tank, this is the most common issue with a well. This is an easy fix with the addition of a Water Softener, these come in different sizes and are sized based on the amount of people in the house and the amount of the hardness minerals in your water. These work on an Ion Exchange principle with the media in the tank absorbing these minerals. The softener is programmed to flush itself and regenerate the media bed for continual removal. A drain pipe is needed for this flushing, and gets connected on to the main water feed to the house, a power outlet is also required. With this system you will need to add water softener salt to your brine tank to be used to clean the media bed. Another common complaint is Iron in water, this can cause staining on all your plumbing fixtures and cause the water to have a bad taste and odor. Depending on the amount of Iron in your water there are different options for dealing with this issue. Lower levels of Iron can be removed with the softener if the media in the tank is adjusted to inc the removal of this contaminant. This is another reason why you need to have the water tested to determine the levels of minerals in your water. Mineral Pro can custom built a water softener and adjust the media accordingly to remove lower levels of Iron combined with the Calcium and Magnesium. For higher levels of Iron a Manganese Greensand filter can be very effective for removal of Iron. Many water treatment dealers try to push a chlorination system which is very expensive and complicated to maintain. In most cases there is an option which can be effective which is what we recommend first- simply shock your well with bleach, a method that is easy to do, very effective and very little cost. Shocking the well kills the bacteria in the sulfates which stops the Hydrogen Sulfide gas from forming, eliminating the rotten egg smell. If you have more questions send us an e-mail and we will be happy to answer.